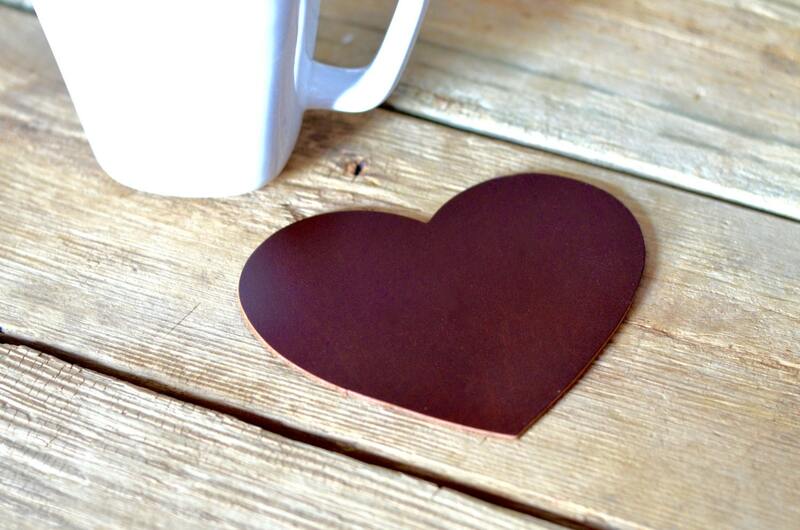 Leather Heart Shaped Coasters - set of 4 heart coasters in the color of your choice! 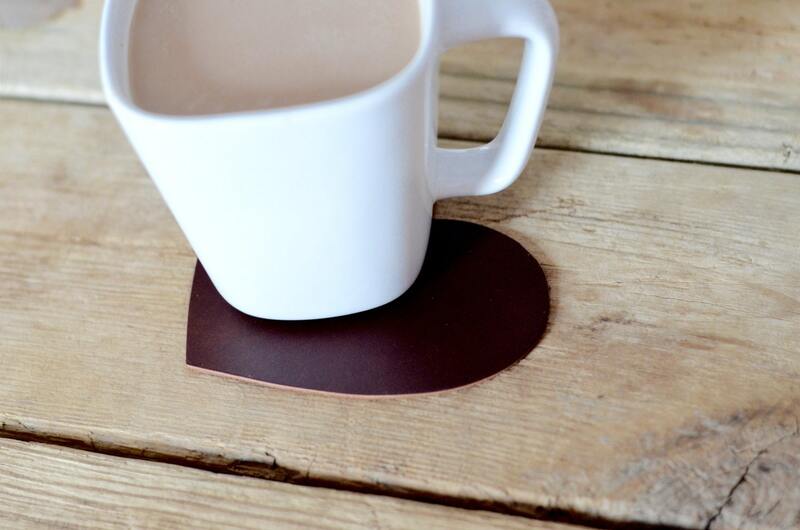 Decorate (and protect) your table top with these romantic, classically charming, timeless coasters! They are made from leather, will age beautifully and last for decades, and make an amazing gift. We offer these in 3 colors: Caramel Brown, Chocolate Brown and Black (color options shown in last photo). Choose from a set of 4 of any of these colors, or from one of our mixed color sets! They come packaged in clear plastic bags, ready to gift or use in your home. 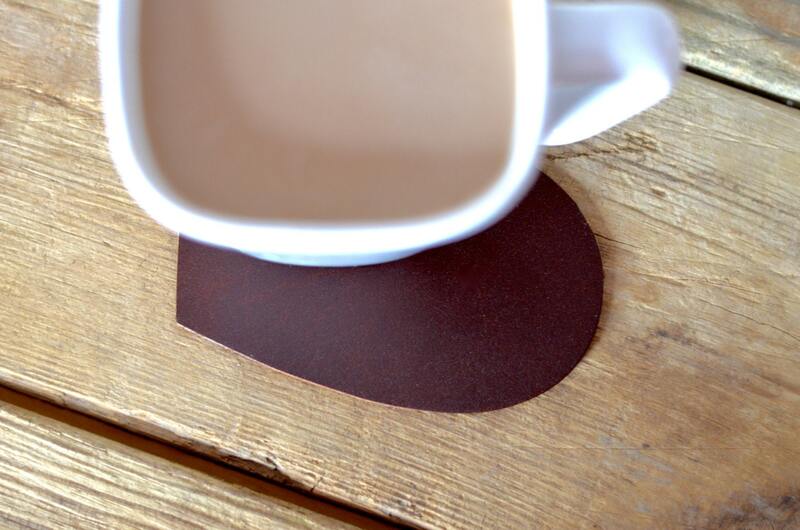 Each coaster is handmade from natural leather and measures 4.5" (11.43 cm) across. 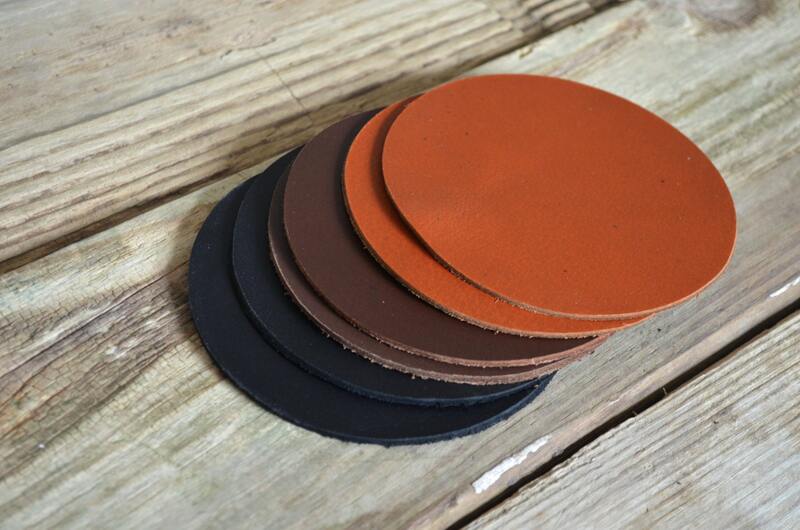 Please note that, because these coasters are made from natural materials, there may be some subtle variations in color or minor imperfections in the surface - this is normal, and an indication that the item you are receiving is genuine (not imitation) leather. One of the perks of being real leather is that, as they age, these pieces will develop a lovely natural patina. great item-excellent pricing! Thank you!